An absolute must for teeny-tiny people. All the stories, rhymes and favourite friends that little people absolutley ought to know, in one beautifully illustrated book to keep and treasure. 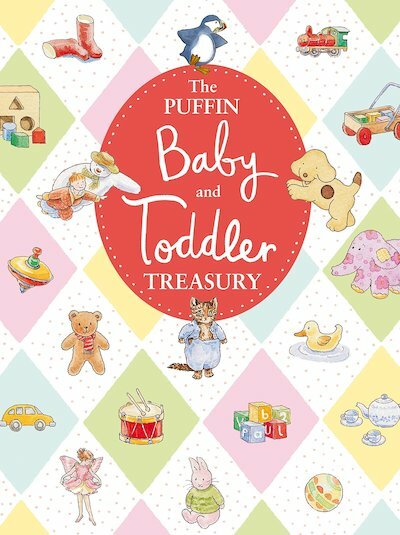 Inside you’ll find all the essential nursery rhymes, lullabies and songs. But you’ll also meet the classic characters of childhood. Eric Hill’s Spot, Raymond Briggs’s The Snowman, Beatrix Potter’s Tom Kitten, the Flower Fairies, Winnie-the-Pooh… They’re all roaming the pages of this utterly delightful book!